Now that the professional pundits and prognosticators have had their say, it’s time for the PRDude, a real Chicago Guy, to offer some thoughts on yesterday’s news bombshell: Chicago Mayor Richard M. Daley’s announcement that he will not run for another term in 2011. For those of you not familiar with Chicago and our history, this is big news. Really big news. And, Daley’s decision to not seek a record seventh term will have profound effects on my city — its economy, its culture and its perception here and abroad — for decades to come. How pivotal is this development? Let’s put it in this perspective: I’ve been alive for 55 years. There have been Daleys in office for 42 of those years. The current mayor followed in the political footsteps of his legendary father, Richard J. Daley, who held the office from 1955 until his death 1976. Both Daleys were brash, at times crude, in public situations and reportedly downright cruel and vindictive behind closed doors. Both were masters in the political arena, wielding almost unlimited power. Both operated administrations that often were embroiled in charges and claims of corruption and favoritism. Both accomplished tremendous public works projects that made other cities bitter with envy. And, both epitomized Chicago, in all its beauty and ugliness, its successes and failings, its glory and shame. It’s a safe statement to proclaim that the decision by Richard M. Daley means there never will be another major American city that will be ruled for decades by one man or woman. It’s unfathomable to believe another Daley type of leader will surface again on the urban political landscape. Public relations, of course, is the practice of building mutually beneficial relationships. 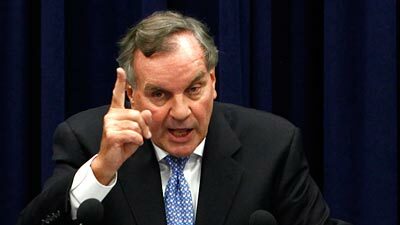 Richard Daley built lots of relationships during his more than two decades holding down the mayoral office in Chicago — some that were toxic, like with the Chicago Police Department and the local media, others that were beneficial, like with the business community and cultural institutions. Much of what the rest of the nation and the world perceived about Chicago as a place to live, work and play was shaped in some part by the actions of the Mayor. An argument could be made that Daley, given his remarkable tenure and prominence on the national and international landscape, performed a public relations function for Chicago. Daley helped epitomize Chicago for the world-class center of business and culture that it is today, much like Al Capone and other gangsters cultivated a perception of lawlessness nearly a decade ago. The city often was referred to as “Daley’s Chicago” during the administration of the first Mayor Daley; I maintain the same could be said for the current Mayor Daley. Who will be elected Chicago’s next mayor? There are no front runners, but lots of hopefuls. Whoever that person is, he or she more than likely will never scale the heights, from a perception perspective, of either of the Daleys. This entry was posted in Uncategorized and tagged Chicago, Chicago politics, mayoral election, public relations, Richard M. Daley. Bookmark the permalink.